What’s Better Than A Single Coat Flooring System? How About A Double Flooring System! Double your protection, double your floor with a double flooring system expertly provided by Silikal. When you utilize Silikal you will find that it is not only a concrete sealer but also a double flooring system with a topcoat that truly offers you twice the protection, because Silikal offers you twice the protection, regardless of what is dropped upon it, it will not penetrate the substrate below to cause problems beneath. Businesses that involve commercial kitchens, healthcare, restaurants and supermarkets love Silikal because they absolutely must maintain extremely rigid standards of cleanliness as Silikal with its non-porous characteristics, clean-ability and durability offers no worries regarding strange odors, nor grime and worse yet bacterial growths while tough and long lasting for a potential lifetime! A Silikal flooring system is also perfect with its double protection because it can take the rigors of an airplane hanger, an industrial garage, outdoor parking decks, and sports arenas to name yet a few places where the flooring system must be waterproof, skid proof, and of course as durable as possible. Silikal’s double flooring system can be utilized by veterinary or dog kennel flooring, as well as commercial food flooring. Double the protection and for use in unlimited locations nothing but nothing is equal, much less better, than a flooring system made by Silikal. VCT Flooring – Are You Considering It? If So You Should Read This Post Before You Do. VCT flooring might not be a wise choice for your flooring needs. Read why below to learn more. First you should know what VCT flooring is. VCT stands for vinyl composite tile. You should be aware that your floor will need preparation prior to installation of VCT, as it is not a seamless product. Since it is not seamless, it will unfortunately allow all manner of bacteria to grow underneath it, causing dangerous growths, odors and eventually require costly removal of the product. 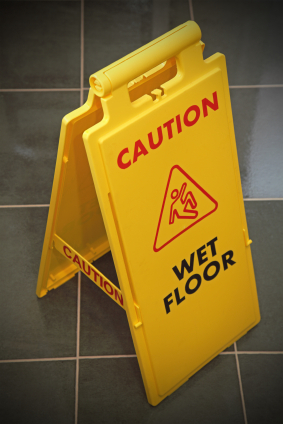 You will also need to regularly strip and wax your flooring. Because it is made of separate pieces of tile, often VCT flooring has been known to buckle. This in turn creates unsightly bulges in the tile, as well as presenting a trip hazard besides allowing bacteria to grow under it. VCT flooring is also very slippery when wet creating a hazard for your business. 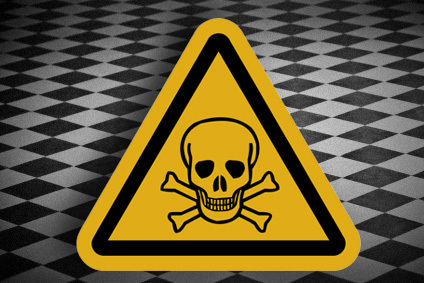 You also need to be aware that many of the products utilized to glue down vinyl composite tile produce noxious fumes that may be dangerous to those laying down the product as well as anyone in the building. These fumes are called Volatile Organic Compounds usually referred to as VOCs when speaking of flooring fumes. If instead of VCT flooring, you should examine Silikal, you will be happy to find that it is totally seamless, thus the introduction of anything being allowed to seep under it has been rendered impossible. Therefore a Silikal floor will never buckle due to growths beneath it. Best yet, Silikal is a totally VOC free product. Actually it is certified to be a non-VOC product! Being seamless allows for the easiest cleaning possible, and you will never have to strip nor wax this floor. It stays beautiful as the day it was laid for you.